Phase 1 includes the first 20 months of instruction. Training consists of modules, clinical experiences, a mentored research project and more. Phase 1 includes 14 modules organized by organ systems, with normal and abnormal functions covered in each. The modules contain all four elements of the curriculum, with a dominant focus on Science in Medicine. Learn about module organization and faculty leaders. Reinforcing what's learned in these modules and other components of the curriculum are Synthesis and Application Modules (SAMs), periodic opportunities to review key concepts, relate them to new ones and assess learning. In Phase 1, all students begin their four-year Area of Scholarly Concentration project. This highly mentored, hypothesis-driven investigation or formal project in biomedical research or a medically-related field culminates in the writing of a thesis. Focused Clinical Experiences are brief, single visits to clinical settings that tie in to specific Science in Medicine topics and are guided by well-defined learning objectives. They foster earlier clinical skills acquisition, provide students with a more advanced starting point for clinical work in the Phase 2 clerkships and enable a more thoughtful and robust exploration of career choices. 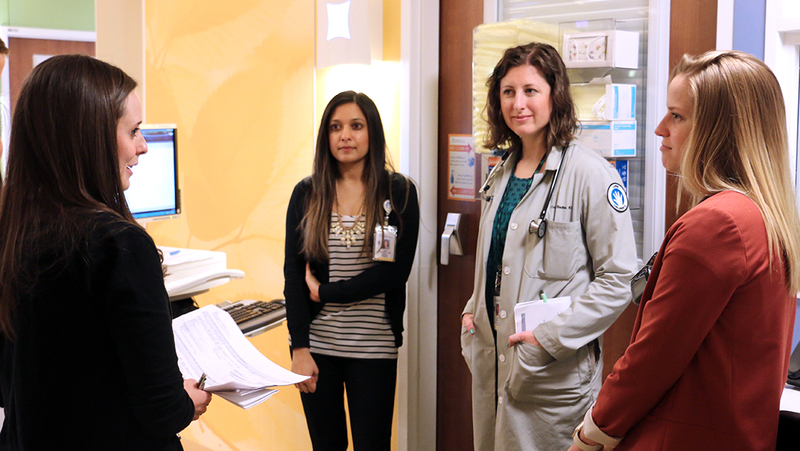 Early exposure to patient care is a cornerstone of our program. Students have a choice of two learning environments. Education-Centered Medical Home exposes students to long-term, team-based care for a panel of patients in an authentic outpatient environment. The Individual Preceptorship provides students with an early exposure to patient care in order to practice history, physical and counseling skills with the guidance of a primary care mentor. 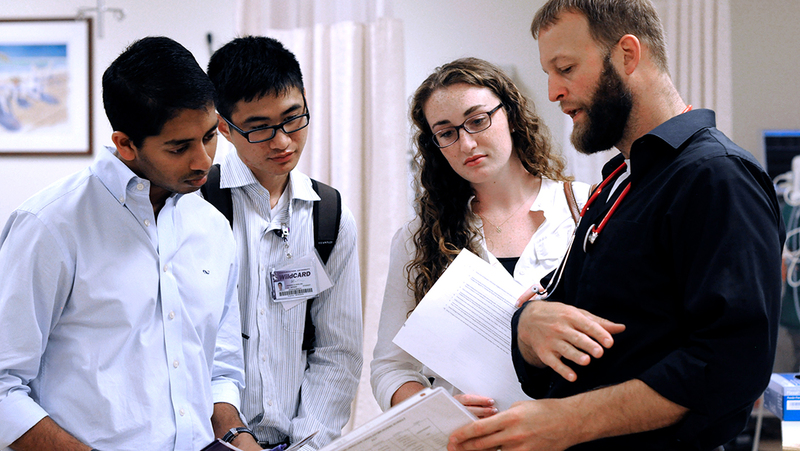 The second phase includes intense clinical experiences in a complete set of core clerkships that are department-based and span multiple disciplines. 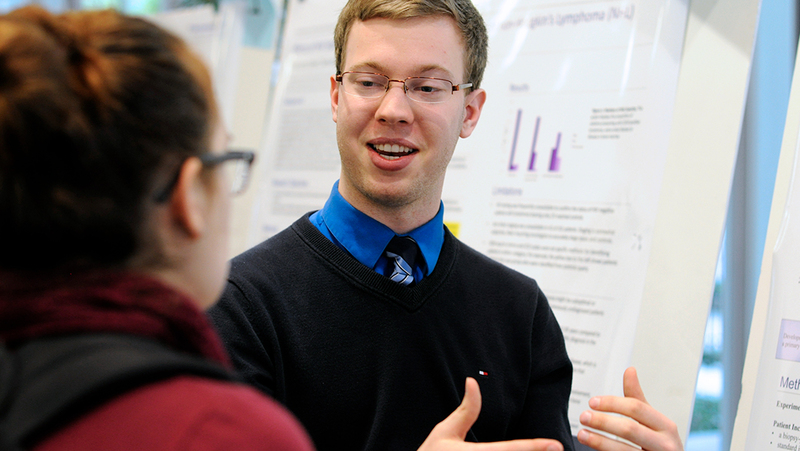 In Phase 2, students continue to progress in their Area of Scholarly Concentration project. There is also elective time to allow students to pursue studies in other interest areas. SAM weeks continue, with additional opportunities to develop skills and knowledge that will benefit students in their clerkships and electives. 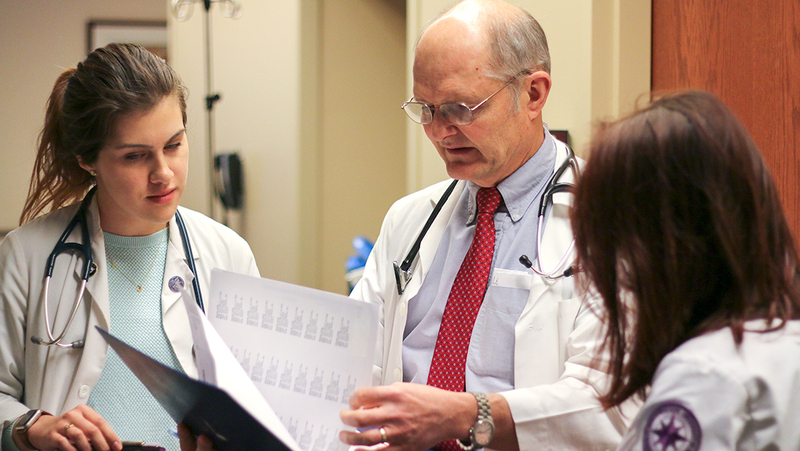 SAM weeks revisit concepts and gain new skills that will serve them in these clerkships. The Phase 3 Teaching Selective offers clinical teaching experience, to prepare students for those responsibilities in residency. Students will also complete their Area of Scholarly Concentration project. 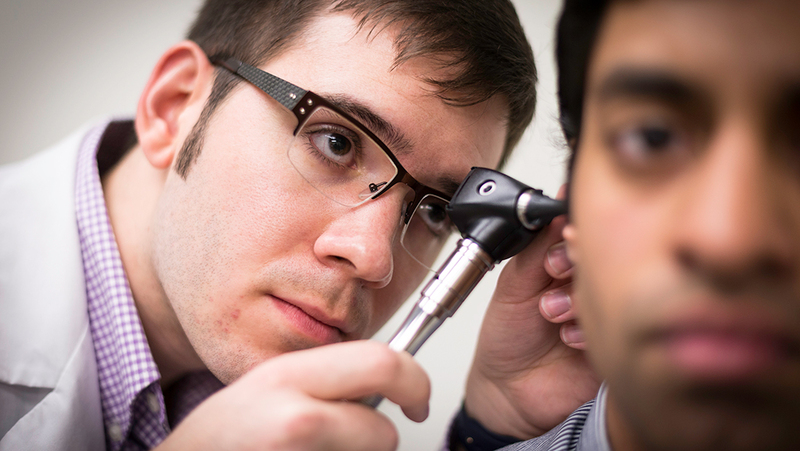 The two-week Capstone session, in the final months prior to graduation, is designed to ease the transition from medical student to physicians.